Hi Everyone. I am trying out for another DT - I have discovered these amazing digital images by Mi Ran and wanted to try my hand. 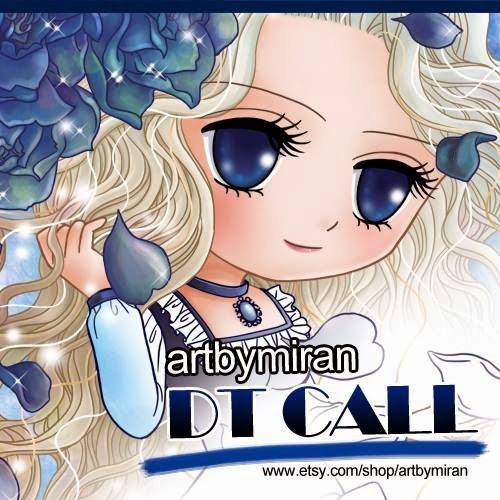 Not only is there a DT call, but artbymiran is celebrating its 1st birthday as well!! I have been long admiring other's projects using Mi Ran's beautiful images (which you can purchase at her etsy store here. Her images have amazing eyes and amazing hair. So for my DT entry I have used Pearl. I would love to be a member of the artybymiran design team because the images challenge me and amaze me, and the sense of satisfaction that you get when you colour in an image when at the beginning you didn't know where to start for awhile.... and just stared at it .... waiting .... for the right inspiration to put Copic to paper. Here is my card. 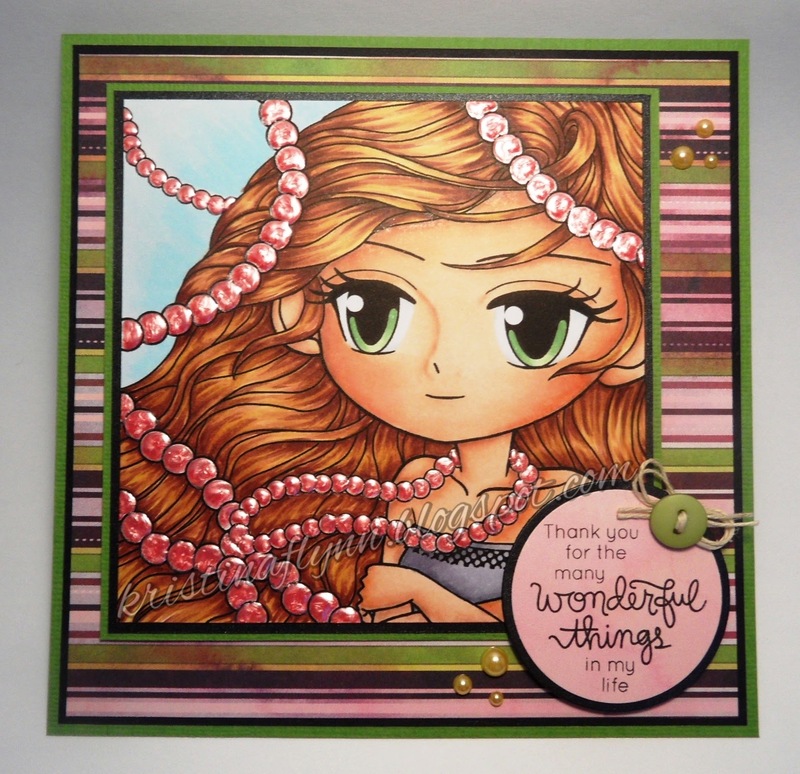 She is coloured with Copic Makers, and the pearls, well I just had to pull out the Liquid Pearls - Petal pink - it gives them just the right amount of shine and a little dimension. The sentiment I used is from a Simon Says Stamp set called "Best Mom Ever". Now that my time on The Greeting Farm DT has come to an end, I will cross my fingers that I can become a part of the artybymiran DT. Wish me luck!! Gorgeous card Kristina! You did a fabulous job on your coloring and creation. Good luck on being chosen for Art By Miran DT. I too have applied and keeping my fingers crossed. Gorgeous Kristina, the liquid pearls are beautiful and definitely makes your fab coloring pop! Good luck with our DT call!